Taylormade TP5x are currently selling in the pro shops for up $74.99. Save huge dollars buy purchasing from Lost Golf Balls! The Taylormade TP5 range are currently used by Jason Day, Justin Rose, Rory McIlroy and Dustin Johnson. Good quality and value. Quick delivery. Prompt, professional service every time. Quick delivery. Condition of balls were as per the description. I ordered the top level and they were basically brand new! Highly recommend. Once again, 5 star service. Delivered within 3 days. The customer service and products are always top shelf! The recent write-ups on the Taylormade TP5x are very positive, so I thought I would try them. I use Lost Golf Balls for my usual Pro V1 balls which have always been excellent. I ordered the TP5X and had them delivered in record time and the condition was just fabulous. I have played with them for 5... Read More. 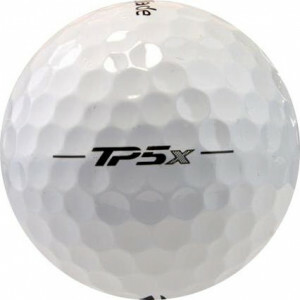 The recent write-ups on the Taylormade TP5x are very positive, so I thought I would try them. I use Lost Golf Balls for my usual Pro V1 balls which have always been excellent. I ordered the TP5X and had them delivered in record time and the condition was just fabulous. I have played with them for 5 games now and I am very impressed with the TP5X. At the price, and the excellent service Lost Golf Balls is the only place to shop. Lost Golf Balls always give great, prompt service. Good quality balls at a fraction of the retail price, delivered quickly, no fuss. Delivery was fast and quality was good .